A furry, toothy flesh missile is what your dog will be if you brake heavily and it’s not restrained properly in your car. It could hit you, your passengers or the windscreen. Either way, it’s not going to be winning Crufts after the experience, and it could seriously injure you, too. Not only that, but you could be up for a dangerous driving charge which can result in a custodial sentence and a mandatory disqualification of 12 months. A loose dog can injury itself and can distract you. If it gets into the driver’s footwell it can interfere with the operation of the pedals – some people even carry their dog on the lap! It’s common to see dogs with their heads stuck out of the window. A dog with its head out of the window will be killed by the airbag if there’s a crash; and if the car doesn’t have airbags in the rear, then it’ll be the impact of its head against the door frame. Dogs can get all kinds of problems with their eyes and ears if they hang their head out of the window, and if they bite a passerby you could be charged. Some insurance companies have said they may invalidate a driver’s insurance policy if it’s found that there was an unrestrained pet in the car. It may be considered that you are ‘driving without due care and attention’, especially if your dog is jumping around your vehicle. 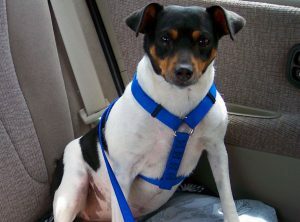 Use a strong but comfortable pet restraint that is the right size for your dog. Acclimatise your dog to the restraint by letting it sit in the car without you driving anywhere, then gradually build up the journey length. Or use a pet barrier that runs across the top of your rear seats and confines your dog to the boot. Take regular breaks so that your dog can drink something and go to the toilet. This also gives you a break from driving. Never leave your dog in the car, no matter what the temperature. Firstly, a car can heat up to more than 30 degrees hotter than the outside temperature and your dog cannot sweat, and secondly, your dog could lock itself in, chew the seats, or accidentally release the handbrake. 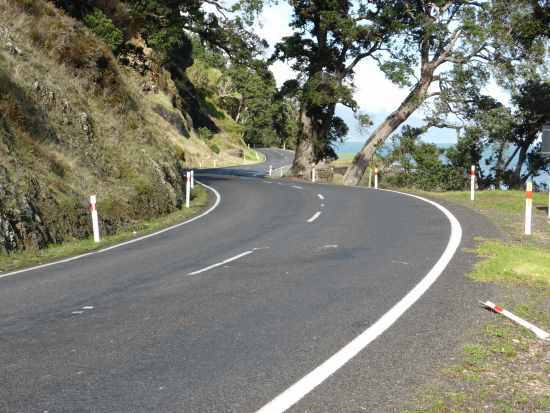 ‹ What is superelevation in road design?